As Nigeria reaches the middle age of 55, many in Bayelsa State have expressed their hope in indivisible country and the need to return the nation into an egtarian society where justice, reigns supreme. Speaking to The Tide in Yenagoa, the Bayelsa State capital, the ERA/FOE’s representative, Comrade Morris Alagoa, said “we are just sailing with the mere increase in number of years and, priding ourselves as Giant of Africa. And, being so blessed with human and natural resources [even weather], we could actually sail on as Giant of Africa. But, that is not enough”. Alagoa opined that Nigeria has moved from an agrarian economy/society with potentials for growth to that of crude oil-driven economy and the attendant high level of corruption. “The crude oil economy has brought about so much strife, division and violence; owing to avarice, greed and corruption in high and low places. The society that once cared for her citizens has become that of ‘To Your Tents O’Israel…everyone is struggling for his or her own survival; even as social institutions are in comatose conditions”. According to him, “unless the current administration goes about the task of governance; tackling the issue of corruption holistically without fear or favour; the expectations would come to naught again. “Now, the only expectation is that, the new government led by President Buhari would restore the confidence of the people in government; government with strong institutions and where the guilty/criminals ought to be afraid and not the innocent, law abiding citizens. “The expectation of a truly united One Nigeria would continue to be a mirage, fleeting illusion; unless a fearless, committed and selfless leader supported by Nigerians takes the lead as we march on…and begin to ensure social justice, encouragement of science in the bid to diversify our economic development…not depending on crude oil that is already fading away as the world looks on to other sources of energy”. Allagoa’s opinion was shared by another Comrade, Elder Che Ibegwura, an 85-year old retired labour unionist. To him, Nigeria as a creation of British has been living a false relation with one another and remains static. Ibegwura said it is expected that Nigeria at 55 will disentangle itself from the antics of developed countries, whom according to him, are merely deceiving African leaders while continuing in their economic policies that improvised the people. He contended that his expectation is that with time, President Buhari will stop several of his visits to International Community, because nothing good will come from them except to enslave the country economically, culturally and socially. “No world power will help to develop any third world country including Nigeria, without exploitation and under developing the people. Their development strategy is a deceit, Buhari should beware of America and Britain”. Chairman, Bayelsa Brach of Civil Liberty Organisation (CLO), Alabo Nengi James, said there is hope that Nigeria will be great, having surmounted all predictions of breaking into different countries by detractors. The organisation, according to him, supports the current war against corruption, believing that when all the cabals that have made the country bankrupt will be brought forward for prosecution. His expectations are high on areas of restructuring of the economy, so that more jobs would be created for the teeming unemployed youth of the country, saying that Nigeria at 55 has come a long way that it can no longer afford to derail in pursuit of democratic principles. Also, Mr Patterson Ogoun, a stalwart of All Progressives Congress (APC) said Nigeria at 55 has made a lot of progress despite all challenges. According to him, the new government is going to fix all fixables like electricity, roads, and education, apart from improving the image of the country. Human Right Lawyer, Chris Iwarah said, “I think Nigeria has made a lot of progress in the last 55 years, especially since the return of democracy in 1999. Be that as it may, our politicians are still a huge stumbling block to the nation attaining its full potentialities. Iwarah noted that, “we must also not forget to state that our judiciary is still very far away from being bold and courageous. 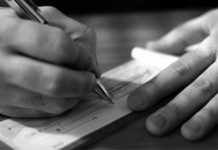 Judges are often reluctant to state the position of the law on matters before them, especially when the government is involved. “Cases Linger in courts for years with the attendant consequences of congested prison facilities, unchallenged breach of the people’s fundamental human right s by agencies of government, among other very unfortunate tendencies. “Then, very sadly, corruption has become our way of life. And this manifests in different forms, including poor state of infrastructure nationwide, plunging standard of education, lack of proper healthcare, widespread insecurity and terrorism, and mass abject poverty”, he said. Iwarah said, “now at 55, it is time for government and Nigerians to sit down to determine whether we want this nation to live or die, because a man at 55 is not too young to die, if he becomes a host of too many incurable diseases. Nigeria, as we have it is evidently carrying too many diseases. But the good thing is that the health status of the nation can still be fixed and it is in our collective interest to fix these issues before they become incurable”. While Eguono Odejegba, the publisher of the Pinnacle Newspaper said, after 55 year, Nigeria has failed to get it right politically, socially and economically. Helen Akananwan, business woman, in her own view said, Nigeria is still limping at 55 years as the nation’s economy depends on foreign importation. “The politicians consider what comes to them and their immediate family first, and not the electorate who voted them. Nigeria can only grow beyond this level when our politicians realize that milking the public treasury is a sin and criminality against humanity”. Eng Adedeji Afolabi, and facilities management consultant said Nigeria at 55 is, a time for sober reflection, review of our past achievements and what we did correctly, identifying our past mistakes so as to avoid a repeat of bad performance, modifying past strategies that produced mixed outcomes so that we can get things right from now on, and most importantly, re-dedicating the vast majority of our citizen to the goal of national development. In Cross River State, many see Nigeria as a prosperous nation though still developing as a third world country. Others, however, blame our underdevelopment on our leaders. Be that as it may, the relative comments of most people whose opinions were sought on this matter maintained that the most inherent challenge of the country today is insecurity. Some stressed that it might be relatively too early to start judging the present administration on its social and economic policies for the development of the country. No doubt that there is so much insecurity in the country today, apparently inherited from the previous ones. Many wonder why the Federal Government budgets so much huge sums of money as security votes yea- in, year out-yet, terrorism, kidnapping and other social vices had become the order of the day. Unfortunately, and to the chagrin of most Nigerians, this canker worm had continued to persist unabated. Why? Many would ask, expecting cogent answers from the Federal Government and the nation’s security operatives. In his view, Dr. Silas Igban of the University of Calabar Teaching Hospital contended that a pragmatic approach being adopted now by the security agents has a great take on the issue of Boko Haram insurgencies, arguing that the fire brigade action being adopted by our security agencies with regard to this matter is much desirous. The medical practitioner accepted the fact that the issue of security should not be left in the hands of our security operatives alone. He was, however, hopeful that in no distant time, the war against terrorism would be won in the country. Chief Ededem Immah, said in spite of her numerous challenges, Nigeria has become a great country. He noted that though a 55-year old person could be regarded as being matured enough to shoulder responsibilities, Nigeria has not done badly considering her numerical strength as the giant of Africa. 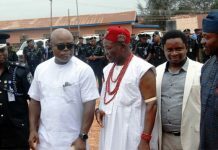 Only last Sunday, the Cross River’s Governor, Prof. Benedict Ayade, assured the people of Cross River State that he will end their trust through good governance. 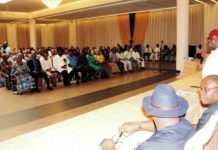 Ayade, who made the remarks at an interdenominational service at the Saint Bernard’s Catholic Church in Calabar as part of the events to celebrate Nigeria’s 55th Independence Anniversary, urged them to have faith in him but not trust, saying he will only have to earn their trust through purposeful leadership. On the issues facing the nation, 55 years after independence, Ayade called for a reversal of the privatization policy describing it as totally unacceptable as it did not augur well with the true African philosophy of providing a shoulder for a brother to lean on. Besides, he said our present state of development does not support privatization. So far, so good, it is believed that at 55, Nigeria has fared well even in the eyes of other nations. Stakeholders in Rivers State also expressed their views. Pastor Silas Mannaseh, who is also a layer, said that Nigeria’s Independence is a partial one, as the country still takes instructions from the Western powers. According to him, Nigeria’s legal system still adopts the foreign laws which ought to be modified to suit our environment. “Up till now, the Independence of all the arms of government is not guaranteed. The executive is still in control of other arms of government in practical terms. “There is nothing yet to celebrate in Nigeria because nothing has really worked well, and until there is justice and equity in the system, there is nothing to celebrate about Nigeria”, he said. Agreeing with the submission of Manasseh, a Civil Engineering practitioner in Port Harcourt, Mr. Prince Udo said that at 55, corruption is still a major challenge that should be dealt with frontally. In the views of the civil engineer, the leaders of the country are very selfish, and are only interested on how to continuously enrich themselves and those their allies. Sharing some of the views of Engineer Udo, a transporter and the Secretary of the National Union of Road Transport Workers (NURTW) Mile One Park branch, Mr. Cyril Amadi, said that one major problem that must be dealt with if Nigeria must sincerely be in peace and develop truly is ethnic/tribal sentiment. An economist, Mr. Ndu Ogbondah, said that the development of the country should have a blue-print and must follow the “Basic Need Approach”. A member of Rivers State House of Assembly representing Asari-Toru Constituency 1, Hon. Tekenari Granville Welington urged Nigerians to be positive and have the hope that the country was envolving to a better destination. The lawmaker urged Nigerians to foster national unity anchored on patriotism and selfless service to the nation. In his own view, Barr Reginald Ukwuoma opined that the country was better placed than before, adding that the country was taking her rightful place both within the African Contient and the world at large having identified its mistrakes of the past. 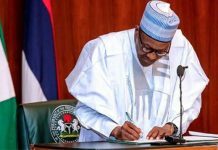 The former Chairman of Etche Local Government council averred that the anti-corruption policy of the present government under President Muhammadu Buhari has reclaimed the country from its thrives of backwardness to its enviable position. Also speaking, Architect Chinwendu Nwubi, however, urged the leadership at all levels in the country to dwell on human capital development, adding that jobs should be created for Nigerian youth at every strata of the society. Dr. Fidelis Allen of the Department of Political and Administrative Studies, University of Port Harcourt, said, “the celebration should provide opportunity to reflect on our failures to launch into a better future. It is only in this way, that he can know where we have failed as a nation. “The government should also use the opportunity to support the global movement towards climate change. Government should enforce the policy on climate change by ensuring the reduction in gas flaring. Mr. Emmah Okah, Commissioner for Housing, Rivers State, said I will like to see a country free from corruption. A country where everyone feels a great sense of belonging. A nation where merit as opposed to mediocrity is promoted, a nation that will rise against evil visited on one section. Also, a nation that will be reckoned with among the major powers. 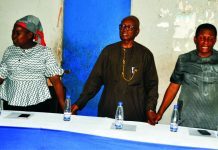 Maxwell Anuonye, Chairman, Port Harcourt Motor Parts Dealers Union, said, “let the anniversary be used to reconcile the various segments of the country to promote her unity and move her forward. Also, let the government make laws that will assist the less-privileged. Let the current administration correct the marginalisation of some sections of the country through the ministerial appointments. Anuonye used the occasion to commend Governor Nyesom Wike for his achievements in the first 100 days in office. Mr. Emenike Obasi of Abia State University, Uturu, said that despite the many challenges, Nigerians should hope for a better tomorrow. 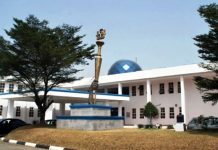 Castman Imbiakpa of University of Port Harcourt Teaching Hospital said the country has fared well, adding that with abundant human resources, the nation would develop even faster with sustained democratic stability and economic growth. Also speaking, Tega Alexander said despite mounting challenges, Nigeria was improving steadily, regretting that corruption had retarded the nation’s growth over the years. George Bitebodo said that if the government improves investments in infrastructure in critical sectors and harness its sports potentials, Nigeria would be great. Secretary, Academic Staff Union of Universities, Rivers State University of Science and Technology, Dr. Emmanuel Igwolu charged the government to encourage education to train needed manpower to close existing gaps in the labour market. He said Nigeria’s education sector had wobbled over the last 55 years, but hoped that with renewed interest in the sector by the present administration, Nigeria would rise again. President, African Global Development Drastic Change (AGDDC), Prince Dan Mbachi said Nigeria was growing politically, adding that government would soon address most of the basic needs of the people by entrenching good governance and transparency in the system.